Enjoy a cooler, more peaceful state of being this Summer by immersing yourself in a weekend of deeply nourishing sound healing and yoga practices to awaken the radiant heart and balance the Fire element, Pitta Dosha. Nourish your body and mind with yoga sequences designed with the wisdom of Chinese Medicine Meridians and infused with cooling Ayurveda self-care practices to help you chill out and bring balance to your being and life. 11-13 – Time to relax Eat, walking, swimming…. Enjoy a delicious restorative yoga practice while being immersed in the powerful healing vibrations of sound. Designed to relax and rejuvenate your body and mind, this sound body experience helps you release stress and tension, improves sleep, calms your nervous system, and harmonizes your subtle energy body. Awaken the natural radiance of your heart this Summer and let your body soar in song and light. We begin our morning yoga practice with chants to open Anahata chakra, the heart chakra, invoking the divine within us to radiate through our entire being. Our asana practice, designed to release tension, stress, and habitual holding patterns in the shoulders and chest, opens the pathway to the joyful and loving nature of the awakened heart. The wisdom of Chinese Medicine encourages us to nourish our heart and small intestine in the Summer months when these organs & meridians are particularly affected. The heart-mind is said to sprout at the tongue. One of the most powerful ways to nurture and calm the heart-mind is through the power of sound. 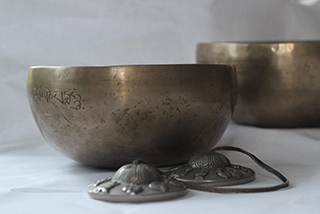 Mantra practice is a potent sonic healing. The Sanskrit word mantra is derived from ”manas”-mind and ”tra”- tool. It is a tool for the mind, one of the most powerful means to calm the mind. They are often referred to as mind protection. restorative hip opening to chill out! Stay cool this Summer with a delicious restorative hip opening yoga practice to balance pitta dosha (fire element)! Designed to slowly and therapeutically open the meridians affecting your hips, this sequence dissolves the congestion and stuckness in your energy channels which might be creating extra heat in your organs leading to agitation in the mind. As we open the hips, we invite a cooler, more peaceful state of mind and an ease in our seated meditation posture. With our new freedom in our hips, we can meditate in yogic bliss while receiving deep nourishment and grounding. 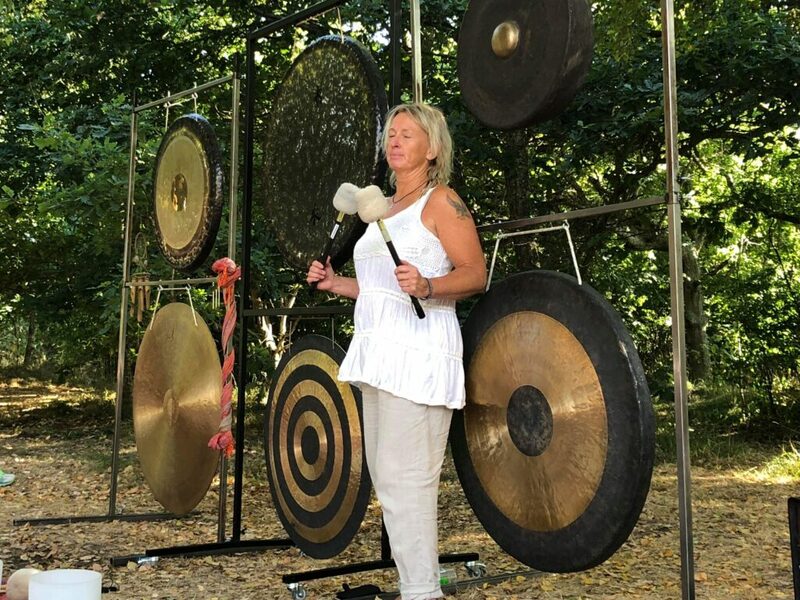 Replenish and revitalize your entire being with a weekend of restorative and heart opening yoga, sound meditation, and immersive Gong experience. Breakfast and lunch included. Please bring extra padding (air mattress or the equivalent) for sleeping. 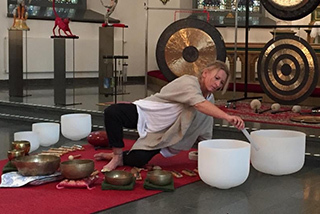 Enjoy a deeply nourishing evening of restorative yoga and sound healing. Let the gong lull you to sleep and sweetly wake you up in the morning! Please bring extra padding (air mattress or the equivalent) for sleeping.